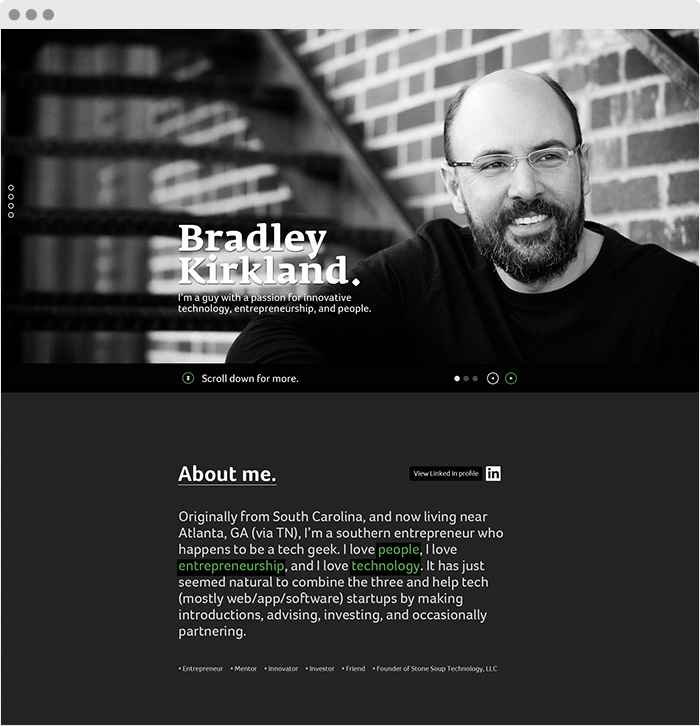 Bradley Kirkland is the founder of Stone Soup Technology as well as an entrepreneur, angel investor, mentor and innovator. 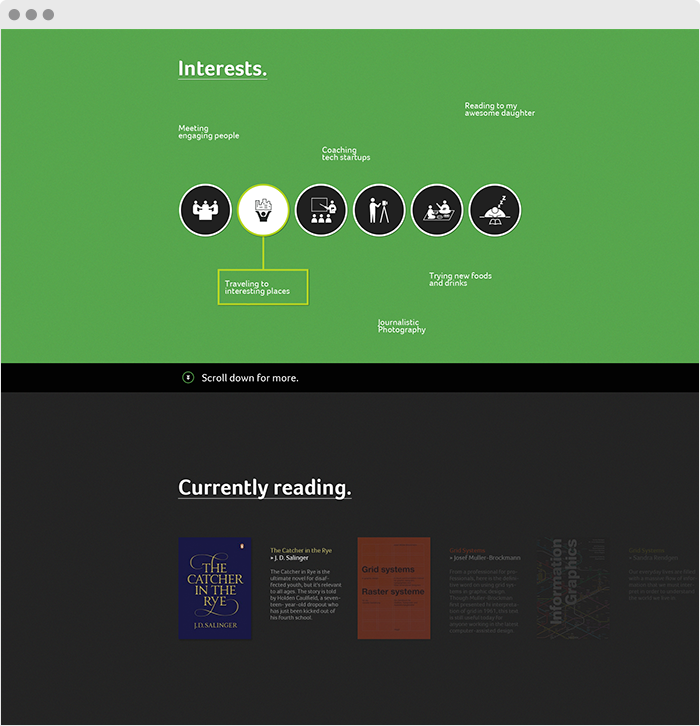 This is his personal presentation website. Originally from South Carolina, and now living near Atlanta, GA (via TN), he is a southern entrepreneur who happens to be a tech geek. He loves people, he loves entrepreneurship, and he loves technology. It has just seemed natural to combine the three and help tech (mostly web/app/software) startups by making introductions, advising, investing, and occasionally partnering.